Download the contest guidelines and submission form. Get filmmaking tips and see examples of short student films. Download the instructions for uploading your video to our Vimeo channel. SUBMISSIONS FOR THE 2019 CONTEST ARE DUE SEPTEMBER 1, 2019. 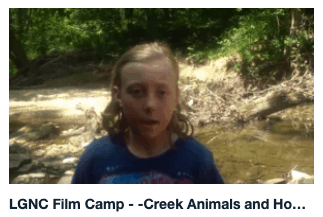 Each student may submit up to three short videos. Videos, including title and credits, must not exceed 4 minutes in length. Videos may be made on mobile devices, cameras, laptops, or desktops. Videos may be documentary, animation, fiction, or music video. 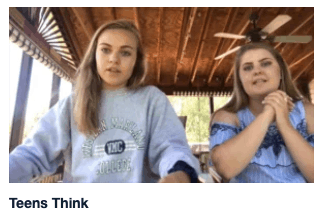 Videos should include imagery, themes, and messaging related to environmental, cultural, and/or historical conservation issues and connections. Any video-editing app may be used in post-production. 10 & under – Individual students 10 years of age or under as of submission date. 11 to 14 – Individual students 11 to 14 years of age as of submission date. 15 to 18 – Individual students 15 to 18 years of age as ofsubmission date. Team Project – can be mixed ages (up to 18) and open to groups of up to five (5) students creating one submission. 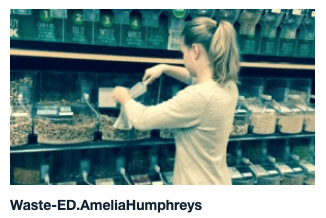 A top prize of $250 cash will be awarded for the video that tells the most compelling story of the student’s relationship to conservation. Videos will be judged by a jury on the power and relevancy of the conservation message, originality/creativity, and the overall production value, in that order. Components to be considered include use of imagery, sound, messaging (verbal or nonverbal), and surroundings. THANK YOU to the founding funders of this new youth project! 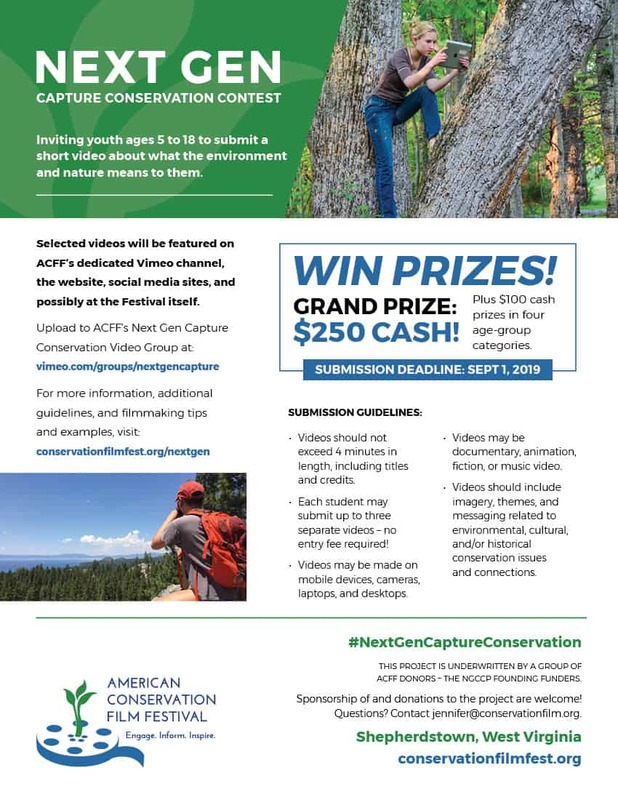 We are happy to announce the winners of the ACFF’s 2018 Next Gen Capture Conservation Contest and thank all of the students who submitted their short videos for this contest. You can view all of the submissions on our Vimeo channel here. We hope this is just the beginning of establishing our Youth Video Archive and further engaging young people in conservation filmmaking!